You are currently browsing the archives for April, 2009. Melba King Celebrates 100th Birthday! Some 150 friends and relatives helped Melba King celebrate her 100th birthday at the Ada Arts and Heritage Center on December 21. Participants came from around Southeast Oklahoma and from several states to honor Melba’s accomplishments and celebrate her friendship. Caterer Tamara Jones provided a fine array of food, and Melba’s nephew and party host, Rudy Ramsey, was truly grateful that all these people managed to keep the surprise party a secret from Melba. Melba is a full-fledged native of the Ada area. Her parents, Zebulon and Addie Brown McKoy, moved from Texas to Stonewall when it was still Indian Territory, and Melba Brown McKoy was born there on December 24, 1908. 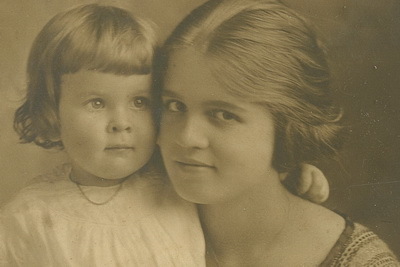 She moved with her family to Ada in 1922. She graduated with a Bachelor of Arts degree from East Central State Teacher’s College (now ECU) in 1929. She was a member of Pi Kappa Sigma sorority. She also attended the University of Colorado and the University of Oklahoma. Melba married Churchill W. Thomas, of Ada, in 1926 and they celebrated their golden anniversary before Churchill’s death in 1977. They lived in Ada all through their marriage except for two years in the late 1930’s spent at the University of Colorado, and a few adventures in uranium prospecting in Utah in the late 1950s. Melba also had a happy, though all too brief, second marriage to Lester W. King, of Ada. They were married in February, 1979, and he died in November, 1980. 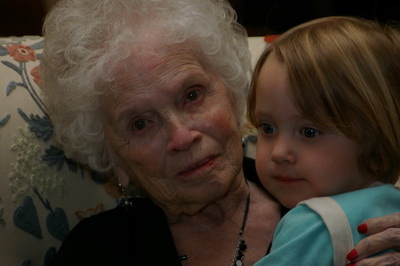 In her 84 years in Ada, Melba has been involved in many social activities. She’s been a member of the First Christian Church since 1925. She was a long-time member of the Wednesday Morning Music Club, and as an accomplished pianist in her younger days, she often entertained others. She was involved in the League of Women Voters, and has long been a member of the Salvation Army Women’s Auxiliary. In particular, she was for many years an active fund-raiser for the Salvation Army children’s summer camp program. One of Ada’s best bridge players, Melba was until recently a member of four bridge groups in town. She has made a number of philanthropic contributions to various charities in Ada, especially to East Central University and to the First Christian Church. Even at the age of 100, Melba still lives at home, on South Broadway Blvd. She says she’s planning to live to be 122. Preparations for the party are underway. Posted 10 years ago at 10:27 pm.